Thanks to supporters like you, we raised over $20,000 during the month of June for the Freedom Loan Fund — a micro-lending program that gives young women in Nepal who spent their childhoods as Kamlari slaves the opportunity to start a business and make a new life. The freed Kamlaris have formed 37 business co-ops, now with 3,000 members, to support each other in building businesses. 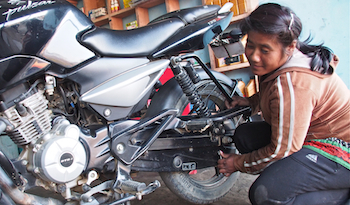 So far, more than 750 young women have used co-op loans to launch businesses such as vegetable farms, sewing shops, beauty salons, and even a motorcylce repair shop. And now, thanks to your support of the Freedom Loan Fund Campaign, another 70 former Kamlaris will be able to get a loan and start a business. The Kamlari co-ops recently formed a network to give the young women the opportunity to share their experiences and improve the way they work together. Representatives from each co-op will meet regularly to share progress reports, create action plans and to review opportunities and challenges. NYF has also recently hired a manager to coordinate the rapidly expanding co-op movement. Thanks to all of you who have helped these amazing young women to build a better life for themselves and their families. We look forward to updating you on their progress. 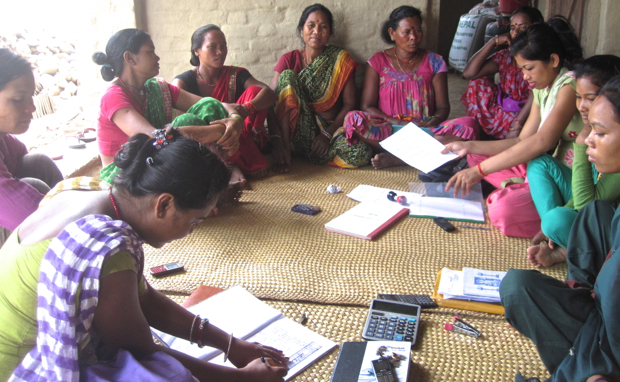 Read about our Empowering Freed Kamlaris Program.